Spacion is aiming at providing infrastructure for the development. We extend our premises as well as the expertise of our team to help entrepreneurs to carry out their business smoothly and without any hurdles. We are providing ready to use office premises at a prime location in New Jersey, USA along with many other related services. We also provide prominent address with dedicated phone and fax facilities to run virtual offices. We have a team of experts in every areas to help you in running your business smoothly. Our well furnished meeting rooms will help you in conducting your client meetings for a reasonable price. We extend our expertise in conducting the meetings successfully. Besides, providing facilities to run your business, we offer our service in related areas too such as getting mandatory registrations, dealing with different government departments etc. 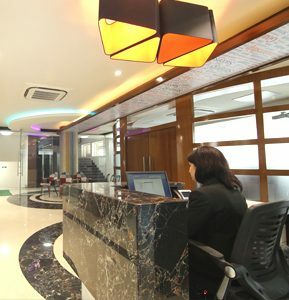 To create a friendly atmosphere for business development and also to ease the work with the help of modern technology. To provide the necessary infrastructure with value added services to our esteemed customers so that they can get deprived of most of the jobs outside their business.